The call centre is often where your customers have their first interaction with your business. To retain your customers, your call centre agents should be able to deliver the effective solution in a timely manner. They need to manage the customers well but fast; that is the real struggle. There are a lot of different call centre software tools that the best call centres use to increase productivity, manage customer accounts, process service tickets, support telecommunications infrastructure for improved and successful call centre operations. 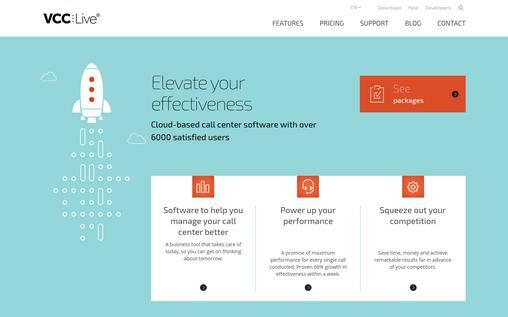 If you are curious to know about the best call centre software then check the list below for the 10 Best Call Center Software and select the one for your business. 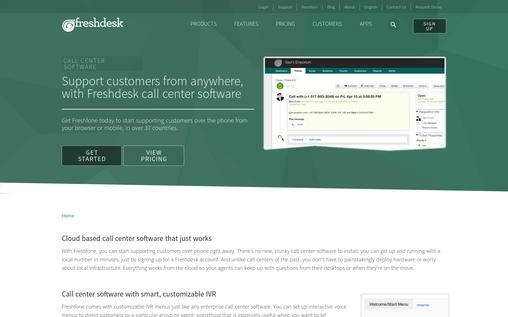 FreshDesk enables you to support your customers right away. It is comprised of all the necessary features that can enhance your customer’s experience. You can integrate it with popular business software—CRM systems, e-commerce solutions, invoicing tools, and more. Also, it is tightly integrated with popular Google Apps like analytics, contacts, calendars, and more. You can’t find the right apps, then you can create your own apps and add integrations. The powerful ticketing system enables you to manage ticket properties, view ticket status, send well-formatted replies, and much more. The multichannel feature allows you to manage all support conversations from different mediums like email, phone, Facebook, and others in one place. HelpDesk Gamification allows your employees to compete with each other to receive certain points and badges, which will keep them motivated. You can get take a free trial of 30 days. The pricing plan starts at $16/month. With Talkdesk, you can enrich your customer experience and save their time. 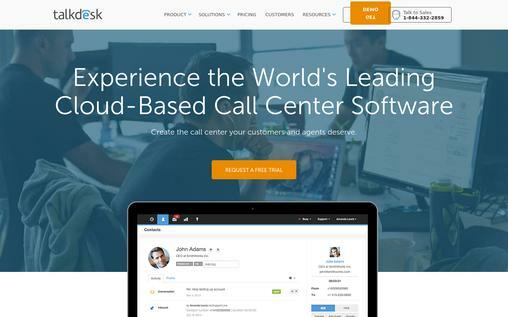 Talkdesk can route callers to specific departments, agents or team based upon various criteria to save the customer’s time, and to increase their satisfaction. Its advanced features like voicemail, personalized greetings, inbound call blocking, and more can be accessed from your computer’s browser, which will make the job of making and receiving calls more simple. The business tool integration feature lets you integrate Talkdesk with your favourite business tools like Salesforce, Zendesk, Shopify, and more. Monitoring and reporting tools allow call monitoring, call barging, monitor the historical report, and more to optimize the key performance indicators. Utilities available in the Talkdesk enhance the team’s productivity with tools like email notifications, local caller id, desktop notifications, and custom permissions. The starter package costs $45/month. Five9 specializes in providing the best contact centre solution to manage inbound, outbound, and multi-channel contact centres. It allows you to monitor and supervise in real-time. The call recording will allow the employee to monitor the calls, provide some tips through whisper mode and much more. It can adapt to the changing needs of your business and scales with your business as it grows. The inbound contact centre features comprise interactive voice response, automated call distribution, and computer telephony integration to manage your inbound calls smoothly. Outbound call centre features comprise of power dialer, predictive dialer, progressive dialer, and preview dialer to organize your outbound calls. The multi-channel contact centre feature enables you to switch between various channels like social media, live chat, email, and more without interrupting the workflow. 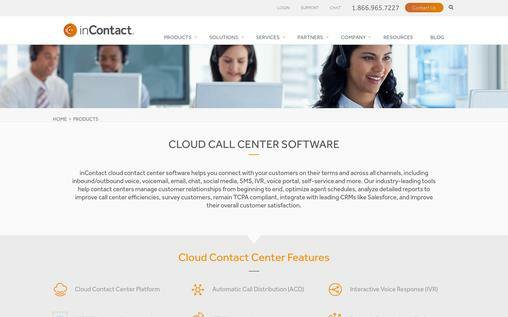 Integrations and developer features allow your call centcentretware to integrate with various business tools like Salesforce, Oracle Cloud Service, Zendesk, and more. It also allows custom integrations for more convenience. 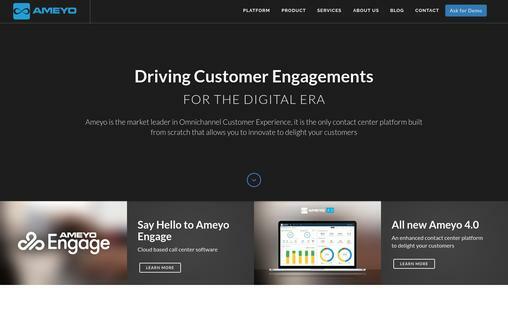 Ameyo specializes in providing the best omnichannel customer experience. It provides all the necessary features that can improve the productivity of your business. The advanced platform of Ameyo allows you to interact with your customers via different channels like email, social chats, SMS, and more. This will help you to solve the customer’s issues more quickly, which will increase their satisfaction. 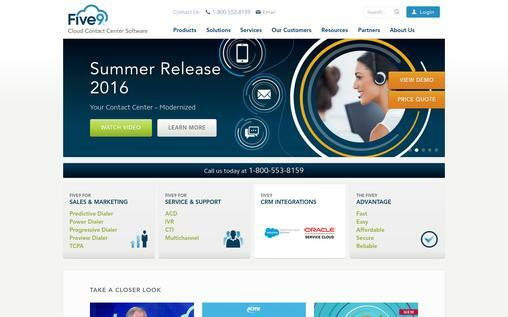 It can be integrate with leading CRM solutions like Salesforce, Zendesk, Freshdesk, and more. Ameyo offers innovative contact center capabilities with its pre-built connection capabilities with top manufacturers like Cisco, Siemens, Alcatel-Lucent, and Avaya. Integrated with workforce optimization systems for creating a high-level framework. The inbound call features comprise features like intelligent routing, VQ Pass, and Automatic Call Distributor to manage the inbound calls according to various factors. Outbound call features include a predictive dialer, preview dialer, and parallel predictive dialer, progressive dialer, voice blast, and Ameyo Pace for better organization of outbound calls. inContact call center software can fulfill the needs of small to big business organizations. You can simply know about your customer’s satisfaction with the customer satisfaction survey tools provided by inContact. It generates a report with comprehensive analysis, which can also be used for evaluating an agent’s performance. Also, has ready-made integration with some of the popular CRMs like Salesforce, Oracle Service Cloud, and other for providing better functionality. The workforce optimization tools analyze various key performance indicators, interactions, and others for improving overall performance. Allows multi-channel interactions through various platforms like email, social media, and others to interact with your customers without switching platforms. The blended predictive dialer feature automatically transfers inbound call queues to outbound agents when call volume increases, and it again moves the agents to outbound when call volume is under control for better operation. Interactive voice response feature enables the customer to select the type of help they want like talking to agent or self-service. 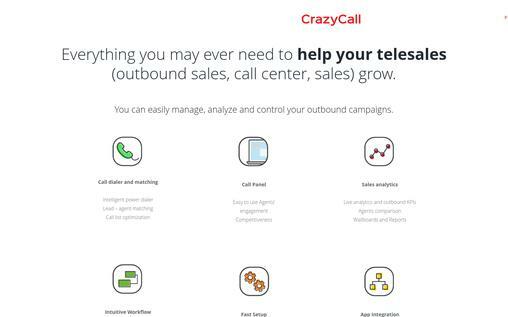 CrazyCall simplifies your call center operations with its powerful features. The call dialer and matching feature of CrazyCall can optimize your call list and match lead-agent. Moreover, the team management becomes quite easy with CrazyCall, as it allows you to record the calls, listen to the calls, and keep your team under full control. It can be integrated with popular CRM software and networks for better functionality. This is a cloud-based software so it’s fully secure and doesn’t require any installation. The analytics tools provide live analysis of the performance. Automated email, visual call, script builder provides an intuitive workflow environment. You can get started for free or you can opt-in for paid packages, starting at $45/month. Vocalcom allows you to start your call center function in a matter of minutes. You can set up your call center from your browser without expensive hardware with Vocalcom. It comes up with a smart dialer to prioritize the leads, track the activities, and more to save your time and increase your productivity. The intelligent routing feature of Vocalcom will route the call to the right department or person based upon various factors. Vocalcom integrates with different CRM software like Salesforce, Zendesk, and others for better functionality and management. Comprehensive analytical tools allow you to analyze and optimize your performance. Virtual hold feature allows your customer to receive a callback from an agent, eliminating hold time. The automated workflow feature enables the agent to easily access the crucial customer information through an intuitive interface for providing better service to customers. The starting package of Vocalcom costs 65 Euro per month. 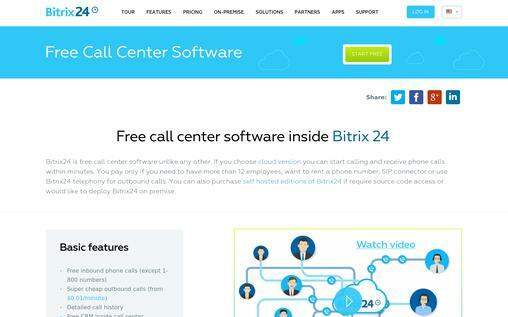 Bitrix24 is a simple, easy to set up call center software, which can allow you to start your call center within a few minutes. It comes up with exclusive features like a social intranet to allow you to easily connect, communicate, share, and manage your team. 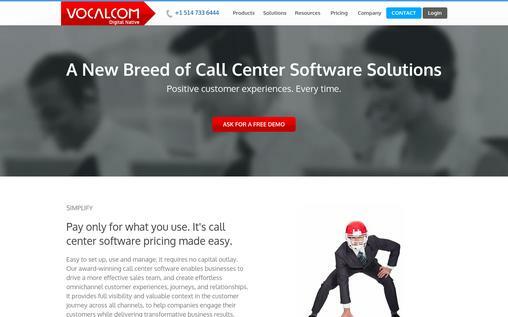 You can see detailed call history with this call center software. It will automatically record your call, and it is also very easy to transfer the calls, set call queues, and forward the calls to other mobile numbers. The mobile application enables you to stay connected and work with your smartphones. The CRM dashboard provides comprehensive reports of deals won, invoices, and others to get an insight of your performance. Bitrix24 allows you to rent local or toll-free numbers according to your needs. It allows omnichannel customer service to interact with your customer through various platforms like social media, email, live chat, and others without interruptions. Bitrix24 integrates with various business tools for better functionality. It allows you to use its software for free, and its basic upgrade costs you $39/month. VCC Live includes dynamic tools and features for managing your call center functions. The voice quality is superb due to digital VOIP, which ensures your customer satisfaction. The automated email feature will allow you to receive automated emails in your inbox based on the outcome of the calls. Moreover, you will also receive customized SMS with the customer details after each call. The intelligent predictive dialer enables you to organize outbound calls. Voice recording, real-time listening, voice file storage, and voice archiving software enables you to manage the conversation. The analytical reports are generated to help you preview call statistics and monitor operator activities. VCC Live can be integrated with the popular ERP and CRM applications in a few seconds. The price of the starting package is 19 euro/month. 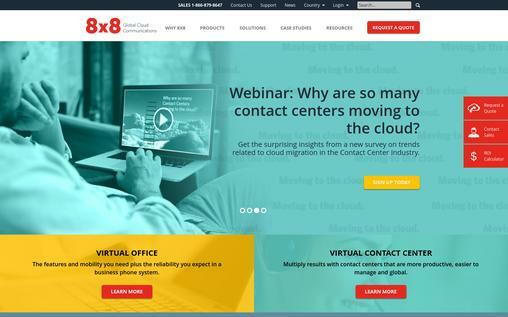 8X8 provides you comprehensive call center solutions. The smart skill-based routing helps in matching the callers with right call center agents who can fulfill their needs. The agent tools available in this call center software allow the agents to offer the quickest and efficient service to the customers for increasing customer satisfaction. The workforce optimization tools allow you to manage the quality, control the cost, forecast, and more for better optimization of available resources. The Interactive Voice Response (IVR) feature helps in managing the flow of inbound call volume to quickly connect customers to an agent; virtual queue feature lets customer receive the call back as soon as an agent is free instead of making the customer wait; personal agent contact feature allows customers to directly contact specific agents. 8X8 integrates with almost all the popular CRM software for providing better customer service. The reporting and monitoring tools allow you to analyze a performance, & retrieve recorded calls. The call center software mentioned in the list above will provide you with top quality service. These call center software varies in features, and it is your responsibility to choose the best one after analyzing your business needs.